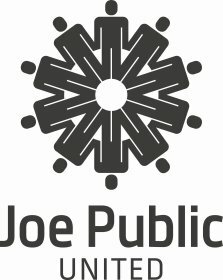 Engage Joe Public, Joe Public United’s specialist Public Relations & Communications agency for the group, has steadily been converting and retaining business as they enter their third year of growth. In the first quarter of 2016 alone, the specialist agency has landed no less than five diverse, new accounts. Each new client is testament to Engage Joe Public’s strong set of case studies, work ethic and firm belief in creating truly authentic content for brands. Content that resonates across all platforms and delivers on growth objectives for clients. The communications teams have hit the ground running; after working on content and community management for the South African Banking Risk Information Centre (SABRIC), Engage Joe Public will be assisting with creating awareness of banking crimes to a wide range of audiences, across various platforms throughout 2016. “We have a great working relationship with the team and look forward to the creative communication planned during the remainder of this year,” adds SABRIC CEO, Kalyani Pillay. Another exciting new business contract is for a language portal that will become a platform for driving community, inclusiveness and heritage over a three-year period. The team also onboarded nutritional lifestyle brand, Ultimate Sports Nutrition (USN), with the launch of their B4-Bomb pre-workout drink, USN’s first ever consumer-led product development campaign (Blue Label Testing). As well as also signing Visa and Autodesk for 2016. With a global partner and over ten agencies in the African affiliate network, the agency is geared up for even more growth in 2016. “Our job is to build on the brief, make our clients shine and grow brand belief. And of course client retention is equally important as we celebrate our third year of relationships with clients such as De Beers, Hippo.co.za and Clover,” concludes Keri-Ann.